As reports suggest that Rahul Gandhi may indeed come to head the grand old party, we republish this analysis of the Congress vice president by a prominent social scientist, first published in the September 16-30, 2010 issue. Much has changed since then, of course, and yet the man does not seem to have changed much. Waiting is a strange phenomenon. It is an interlude where one is caught in the middle of a rite of passage and one knows one has not arrived. Waiting is a liminal period between departure and arrival. Waiting demands patience. It teaches you the art of listening. It demands the craft of silence. Waiting creates an umbilical sense. You are dependent on those around you. You are not even your own self as even your self is projected into the future. Waiting is a form of secondariness, incubating into primariness. It is still life. It can also be agitated and Brownian. Waiting in politics gets even more acute because each event is a learning period. You acquire the skin of politics, the layers of sensitivity or insensitivity politics demands. You learn the semantics, the semiotics of politics. Waiting is a part of all craft forms, especially politics, as it moves from apprentice to journeyman to master. It is an initiation rite, where you emerge into the public rituals of acceptance. Prolonged waiting can eat into a person, emphasising his eccentricity, his impatience. Prince Charles was a casualty of waiting. Waiting in youth creates expectancy. Waiting put Charles into the amber of monarchy. There is already a touch of the antique about him. The dynasties of the democracy are more used to speed. The demands of politics as an art form are different. You need more events as you wait, but these events are such that it must create a presence of the future. Whoever crafted Rahul Gandhi’s period of waiting is a master of the art of politics. Rahul retained the freshness of a prince in waiting, and yet changed, watching and learning the rules of the game. In that sense, history has been gentler to prince Rahul rather than to Prince Charles. Think of him when he first came. He was a postcard, a diminutive child, next to his legendary grandmother. Then he is the boy scout, obtaining a tourist’s guide to politics. Harvard adds to the bluechip ancestry, but democracy can be ruthless with epigones. In politics, genealogy is like stocks: you can fritter your legacy in one silly move. Waiting has to add a sense of expectancy. As you walk the eventless ramp of political rituals, you must be more than a backdrop or a dispensable prop. You need an aura, an ambience of caring and wisdom. This Rahul had. All he had to do was to sit behind his mother and leave the rest to the audience. In waiting, you are a spectacle, the outline that the audience animates. It is the spectator who gives you life, moves you from secondariness to primariness. The audience loved Rahul. He had the right table manners for politics. A fair and lovely personality. A sense of royalty leavened by courtesy. He did the right things and was always caught in a show of respect to some elder figure. There was no seediness. He looked noble, even human. He became the listener. He must have attended over a hundred seminars. Listened unobtrusively, except for a tired yawn which draws the complicity of a laugh. He uses interludes to talk to the right people. Many are major functionaries in minor institutions but they treasure the questions he asks. They are simple, direct and reach the person. They treasure the memory. They can dine out on it and the message spreads. He is respectful and intelligent. Goodlooking but not handsome. The sandpaper beard gives him the anticipations of ruggedness. He does not convey rawness. He projects the right sense of ferment. At seminars, he is a presence. He can merge into the background till his moment comes, make the point and move. He moves quickly, never overstays his time, but always conveys the sense of the next time. Every visit creates excitement, curiosity and anticipation. As a prince in waiting, he knows his limits and stays within it. He avoids being seen as a middle range man. He is a potential leader but he is in no hurry. His body language conveys the sense of the learning process. There is no jerkiness. He is relaxed, not afraid to ask questions. There is none of the anxiety for gossip, none of the comfort of cronyism. He knows that walking alone can make you look singular. I don’t know whether he keeps a diary but he reminds me of a squirrel storing nuggets of knowledge. His learning is like case law, each meeting another pile of anecdotes. Morsels of insight. The silhouettes thickening. You sense a depth to him. Experts spout the usual clichés that he has grown. The more curious wonder who his mentors are. Someone must be feeding him the Incremin of new concepts, new ideas, new thought experiments. They must be mixing with his sense of travel. He travels a lot. He has changed waiting into a pilgrimage into politics, a search for its tacit knowledges. He must have realised that there is no handbook of politics, just a sense of life world. But as his travels intensify, you can sense the sense of politics in his fingers. They are not yet adept but he can identify competence and quality. If you are a discriminating consumer, maybe you can be a good creator. He must be getting lectures from a litter of experts. Maybe JNU, CPR, CSDS but he must be leavening the lessons of the academe and kneading it into his folklore of politics. Academics taken neat tend to be disorienting. Time suddenly quickens. Still life sequences now yield to the demands of animation. It is time for cameo roles. Short pieces of action that log into a generation’s memory. Simple scripts. Semiotically grafted. Scenes that quicken memory and quicken anticipation. One can no longer be the Golden Boy. You have to display the mettle of a man. The anticipation of arrival now begins. The scenario is clear. He cannot challenge midgets because such encounters will only dwarf him. He needs long range battles and senses the immediacy and intensity of cameo roles. 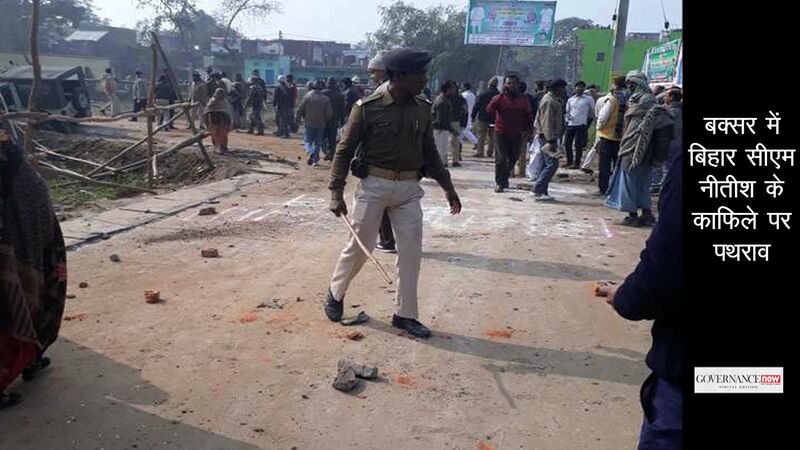 The long range has to be Uttar Pradesh. It is not reduced to the commitment to Amethi; it has to be a challenge, a set of irritants to the great diva of UP politics, Mayawati. He can no longer play an immaculate knight in armor, he has to begin jousting. Mayawati makes a man out of any Congressman. She has emasculated the Samajwadi Party making Mulayam and his prospective dynasty look silly. Mulayam is no longer an architect of OBC politics playing the card of Hindi as a language, he now conveys the mellowness of a retired zamindar. People have forgotten he was once defence minister. Mayawati conveys an understanding of the semiotics of power. She has a roman sense of monumentality. Taste does not matter in the age of the graffiti. The language of kitsch adds to the hurly-burly of populism. Behind her populism she has an electoral accountant’s mind for votes. Mayawati is larger than life and formidable. Rahul has to play the irritant and survive. He has to show that she is cast in the old mould and that he can bring a sense of the new to the decadence of UP politics. He has to show he can add value beyond Amethi. His mentors realise he may not be a vote catcher but he is definitely a crowd puller. He conveys concern, care, goodness and the prospect of power. He acts as the telegraph signal to Delhi. As a politician he becomes a travelling fact. He moves, he listens, he can be outspoken when he wants to be. He is now the icon of empathy. The Congress, which in all its cacophony desperately needed a hearing aid, has found one. The voices of protest do not need a microphone—just a few moments with him. He can recharge the old dying streams of politics. The Congress can sense a future in UP. They can sense that as things change, they will change around him. He combines the right whiff of the new and the nostalgic. He conveys the right smell, leaves enough of a trace to evoke familiarity. The crowd, with its appetite for politics, can sense the difference. The paranoid sense of survival in Mayawati senses it also and she moves to decentre Amethi pretending it is an act of governance. She senses she is doomed to be regional as long as the Gandhis hold Delhi. Her ego might be monumental but her dreams have shrunk a bit. People sense the tenderfoot carries a sense of surprise. It is not yet a lethal left hook but the power of hanging in quietly. Stick to course and you might benefit from the erratic behaviour of your adversary. By now, his body language is more defined. The boy scout in waiting is more decisive. He has found his sense of language. He is not going to speak the idiom of caste though it might be the real dialect of electoral politics. His thesaurus is marginally but subtly different. His is an empathy for the poor, the tribe, the injustice over land, the anxiety of the distressed in disaster. Poverty and vulnerability need voice and he begins articulating it. From a public listener he is now a public voice. He has none of the shrillness of Mamata but there is a sense he has the ears of power. He gains credibility. Then comes his cameo performance in Bombay as he walks into the city that the Shiv Sena treated as its private nukkad. One senses the excitement of a western movie as he walks in as if he plans to attend a satsang. He conveys a sense of the cool. The lines are clear. Chief minister Ashok Chavan’s bumbling antics make him a Mukri to the stellar young hero. If you are a sucker for drama, this is it. The Shiv Sena thugs realise they are yesterday’s newspaper, provincial players on a national stage. They cannot shrink the cosmopolitanism of Bombay. The city remains open in the imagination. Things are speeding up. The pupal stage is over. The freshness now conveys the tan of politics. He has to get his timing right so that his national entries are seen neither as secondary or intrusive. He has found his site in the politics of fairness and the politics of opportunity. Land and development provide him the opportunity. In the meanwhile Jairam Ramesh, minister of environment and forests, is churning the pot listening to NGOs battling genetic agriculture, contending that Vedanta despite its name does not deserve industrial clearances. The Vedanta issue is an international scandal but modern India reads it like a cost-benefit analysis. In its fear of being seen as anti-development it sits on the historical fence. Rahul Gandhi steps in to say he is the voice of the tribals in Delhi. It is a brilliant move. Compassionate. Decisive. The timing is immaculate. It is a drama without frills. Swadesism at its best. 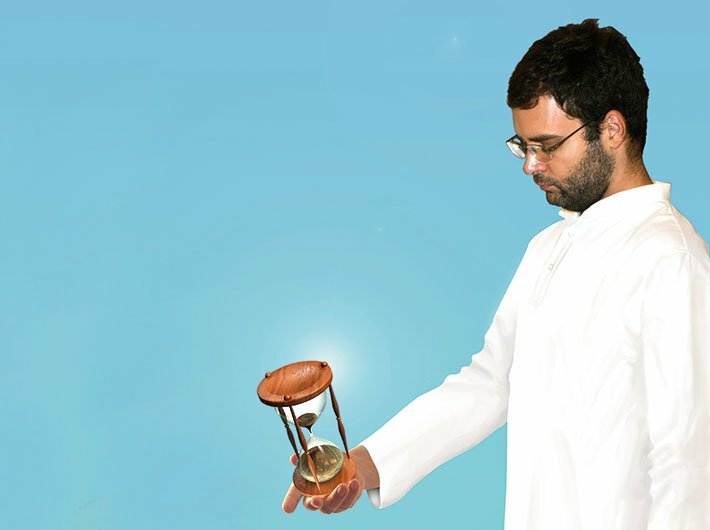 Rahul becomes the third part of a triptych within the Congress. If Ramesh was the voice of modernity demanding a second look at development, and Sonia the quiet conscience egging on NREGA and RTI, Rahul becomes a public voice, arguing for development on behalf of the poor. Ecology and the battle for the tribe which always smelled of defeat had found a new politics. Before the commentators’ ink is dry, Rahul has created an equivalent resonance in UP by saying that acquisition must be fairer. There is no ideology or rhetoric, just plain decency, spelt out plainly. Two brilliant performances. The coming of age of youth in politics. There is no need for accessories here. You don’t have to talk of MBAs and IPods. It is straight talk, plain talk, cutting through the heart of darkness we call Vedanta enterprises. Even the skeptic in me is moved. One is worried about pre-emptive moves. The media, the new hysteric, has announced his arrival a thousand times. But this I feel, is different. A man has matured. He has still a long way to go and knows it. But politics has found new players, actors who can talk the language of delivery without being blind to justice. One sees them in the corporate world in Nandan Nilekani and Arun Maira. One witnesses equivalence in politics in Jairam Ramesh and Salman Khurshid. One has been waiting for a synergy that puts all this together. Maybe Rahul as leader can do it. He has been a listener, a lightning rod, a voice. The time for leadership is now. It is not a magical moment for charisma. The hosannahs will not arrive quickly. But if our politicians relook at the informal economy and understand the politics of livelihood, re-read development that creates a space for the poor and the tribal, redo the rules of national development so that it does not become reason for exploitation, one sees a glimmer of hope. It is time for Rahul to be more public in governance. 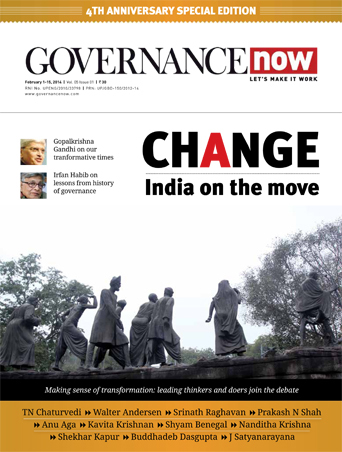 It is time for more debate but if the best of civil society and the best of corporate India hybridise, maybe democracy would once again become more enjoyable, tolerant, even decent. If Rahul can move towards this vision and provide the catalytics of leadership, he will no longer be a politician in waiting. Of course he will have to master the everydayness of governance, put together a new coalition of minds that can see a future India of alternatives. Time is right. The idea of the BJP is in shambles and the left is waiting for the next master text. To achieve this future, Rahul has to avoid the endemic disease of the Congress sycophancy. The challenge is now. If he delays, he will become a victim of a post mature politics and remain a thing of beauty and a toy forever.